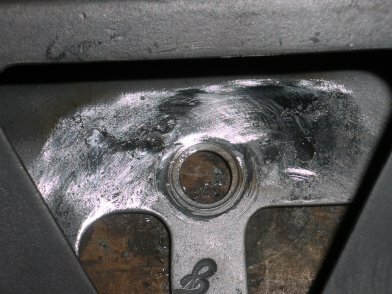 Almost all Oil Filter Brackets will eventually crack on the cylinder head stud that holds it. 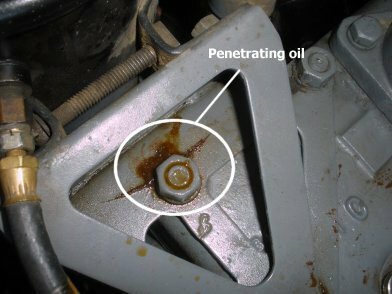 Here is a quick article on how to repair it. 2. 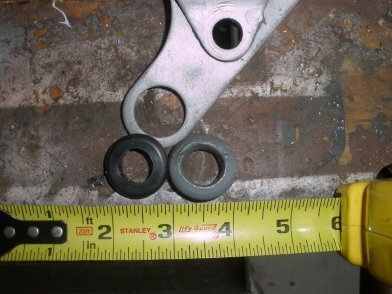 In order to prepare for the repair, the bracket was completely sand blasted, so that the crack can be plainly seen. 3. To stop the cracking you need to drill holes at the end of the cracks. Here a 1/8in drill bit was used, and the two ends of the crack were drilled out. 4. *optional* Because the crack is rather large, two additional holes were added in the middle of the crack. 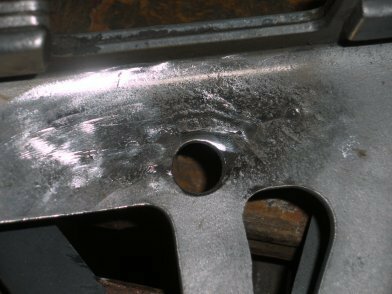 All four of these holes will be welded shut. 5. 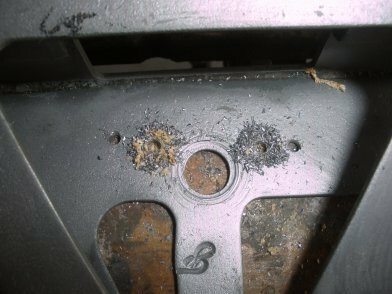 Here I have filled the holes with welds along the crack. 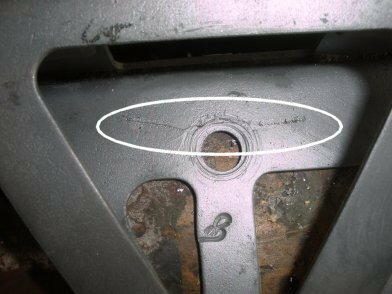 I flip the bracket over and verify the bottom of the bracket was filled as well. 6. 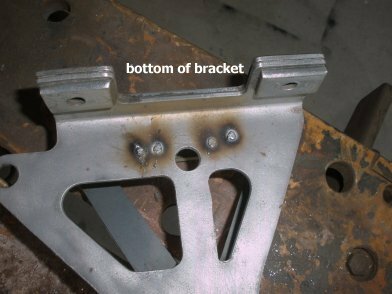 On the bottom of the bracket the holes are filled as well so there is a good bond from weld to bracket. 7. 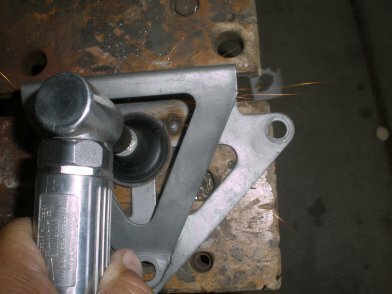 Since the space to grind is limited, a right angle air grinder is used to smooth out the welds. 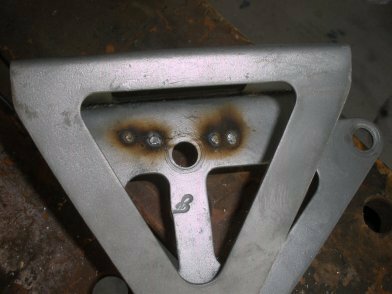 This should be done to both sides as the welds on the bottom side need to be flush to the bracket. bottom. 8. 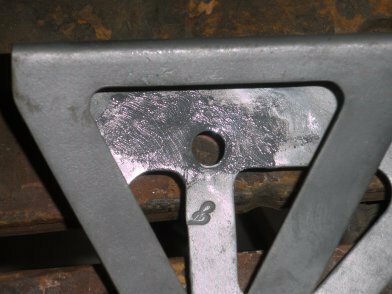 Here you see the welds are ground down on the top of the bracket. 10. *optional* Since the bracket had some pitting and some of the crack is still present a little filler was added, and after drying, sanded smooth. You don't have to do this, but this will give a smooth surface for paint. 11. 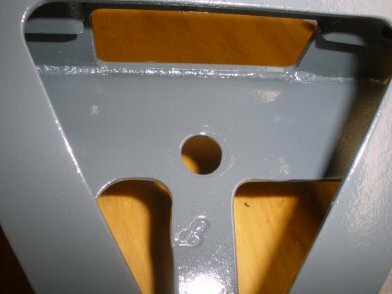 Before you paint, check the rubber grommet on your bracket. The one shown here was brittle and broke right off. If you have a good hardware store you can match this up pretty easily. 12. 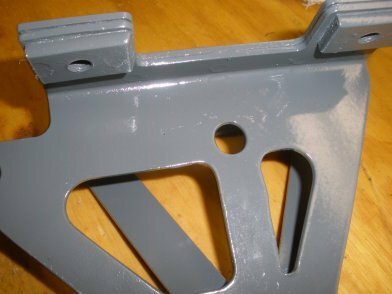 After painting you see the bracket looks pretty good. 13. The bottom side looks pretty good also. 14. 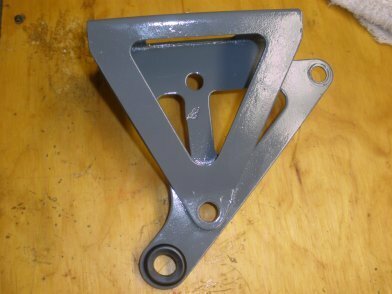 After placing the new grommet on the bracket it is ready to install. Hope this helped! 15. We must be a little realistic here. 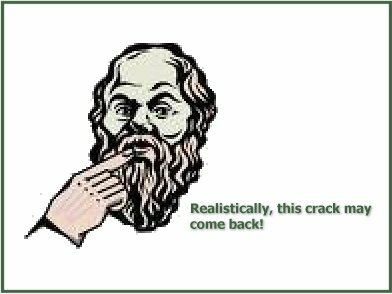 Chances are, this crack will eventually come back. But in the meantime.... I will enjoy it.